Bacon, courtesy of the Amish at the Reading Terminal. Place flour, butter, and salt in a bowl and, using fingers, rub together until pea-size crumbles form. Add egg and 1 tablespoon ice-cold water; stir until dough forms. Briefly knead until smooth. Form into a disk and wrap and chill for 1 hour. Preheat oven to 375 degrees. Roll dough into an 11″ circle; transfer to a 9″ – 10” pie or tart pan pressing into bottom and sides. Trim excess dough; chill for 30 minutes. Prick bottom with a fork, cover with parchment paper, then fill with dried beans or pie weights and bake until set, about 20 minutes. Remove paper and beans or weights and bake until light brown, about 15 minutes. 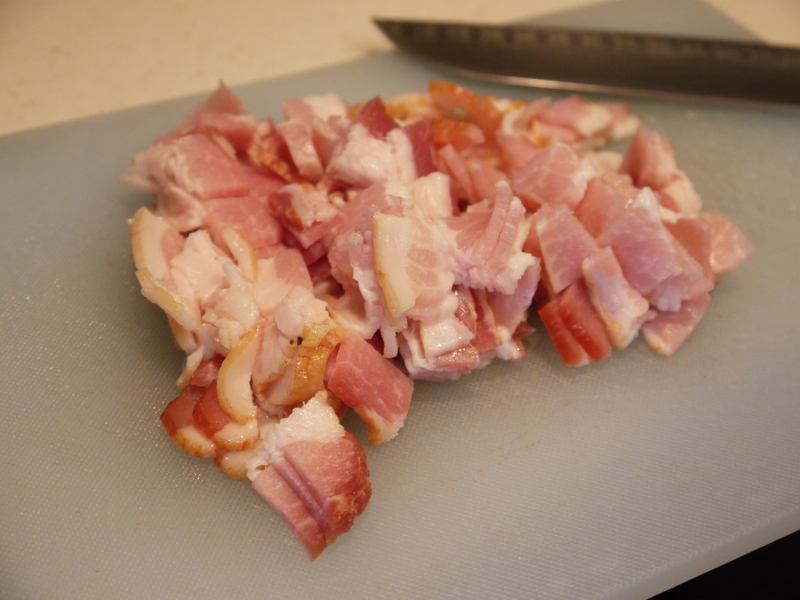 Cook bacon in a skillet over medium heat until just browned, about 10 minutes. Remove with a slotted spoon and set aside to cool and drain on paper towels. 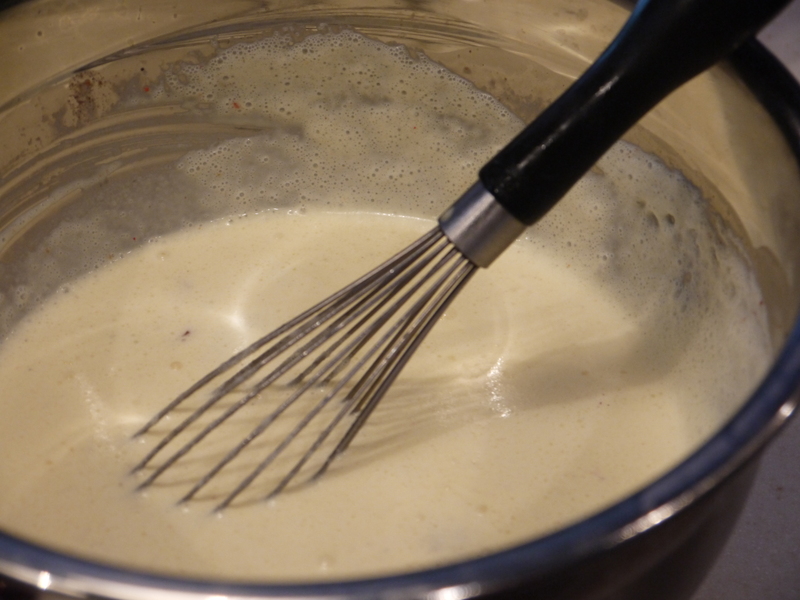 Whisk together remaining eggs, cream, nutmeg, cayenne, and salt and pepper in a bowl. Add bacon to egg mixture and pour into prepared pie crust. 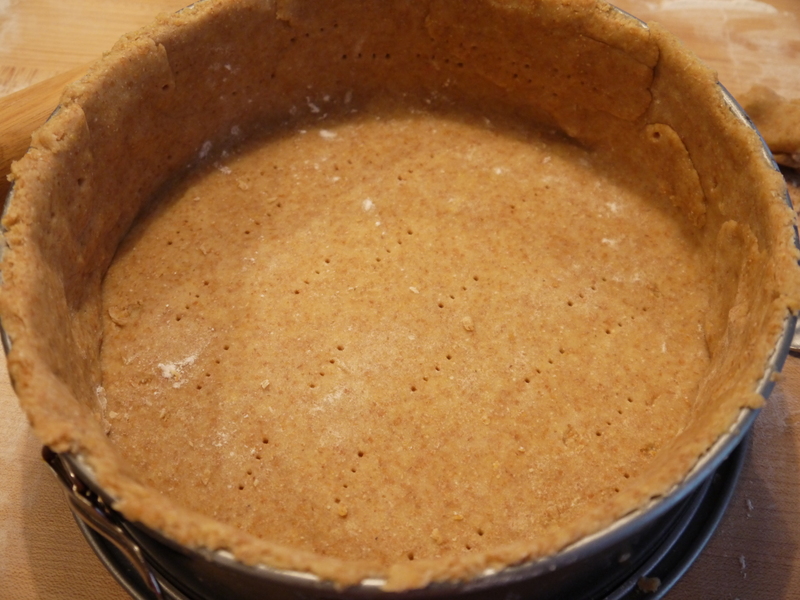 Reduce heat to 350 and bake until custard is puffed and golden and just set in the center, about 35 minutes, topping with desired amount of cheese 5 minutes before finished. Remove from oven and top with chives. Cut into wedges and serve warm or at room temperature. Quiche in general make my personal list of favorite foods. Thanks to its versatility, it can be served at any time of day and is simple to make. The custard-like, egg filling is welcoming to just about anything from bacon and sausage, to spinach, tomatoes and asparagus. 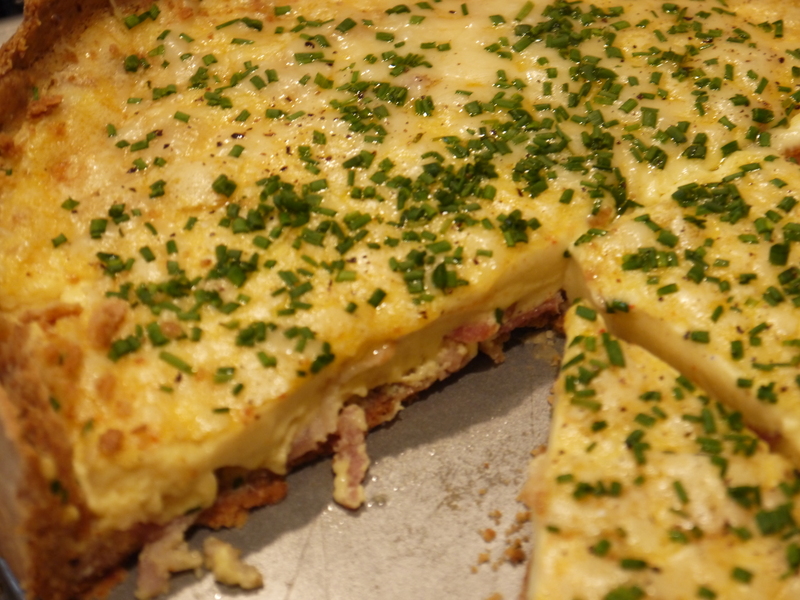 Quiche Lorraine is a traditional French recipe, usually consisting of cream, nutmeg and Gruyere in addition to eggs. Of course, I live with a cheese-hater, so I simply topped my half with freshly grated cheese. The filling was perfectly creamy, rich and fluffy, and my homemade, whole wheat crust added a crunchy texture and earthy flavor; still, you could get the same benefits and chop time off the recipe if you buy a pre-prepared, uncooked pie shell or crust from the freezer aisle. The final topping of fresh chives pop thanks to the gentle heat of the fresh-from-the-oven quiche. I like mine room temperature alongside a green salad for those days I sleep in a breakfast is considered lunch. 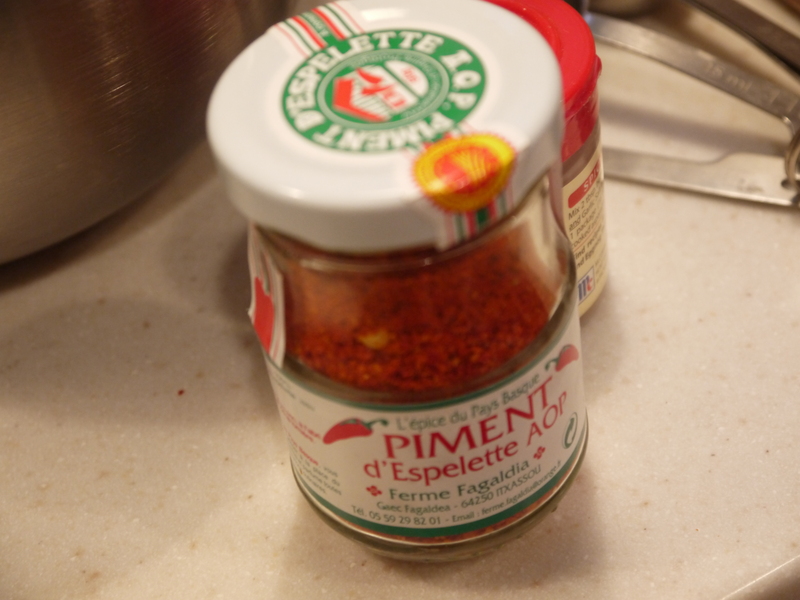 I may not be French, but there’s so much I appreciate about the culture, the language, and especially the food. This recipe encompasses what I love most about French cooking; the simple and practical approach to dishes that are versatile, yet elegant.